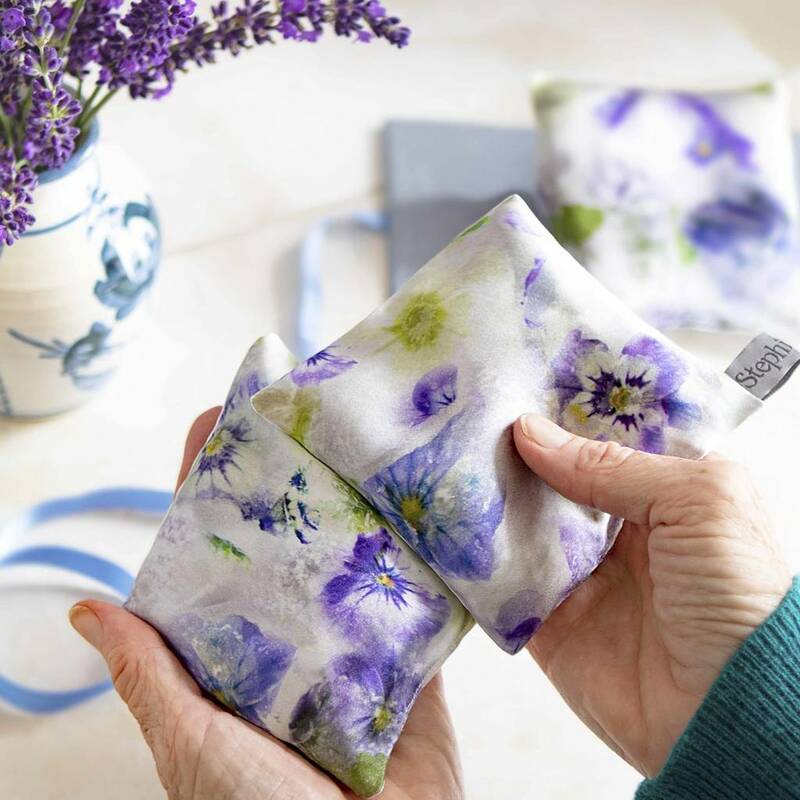 These handcrafted lavender bags are lovely gifts for grandmothers, mums, teachers and friends. 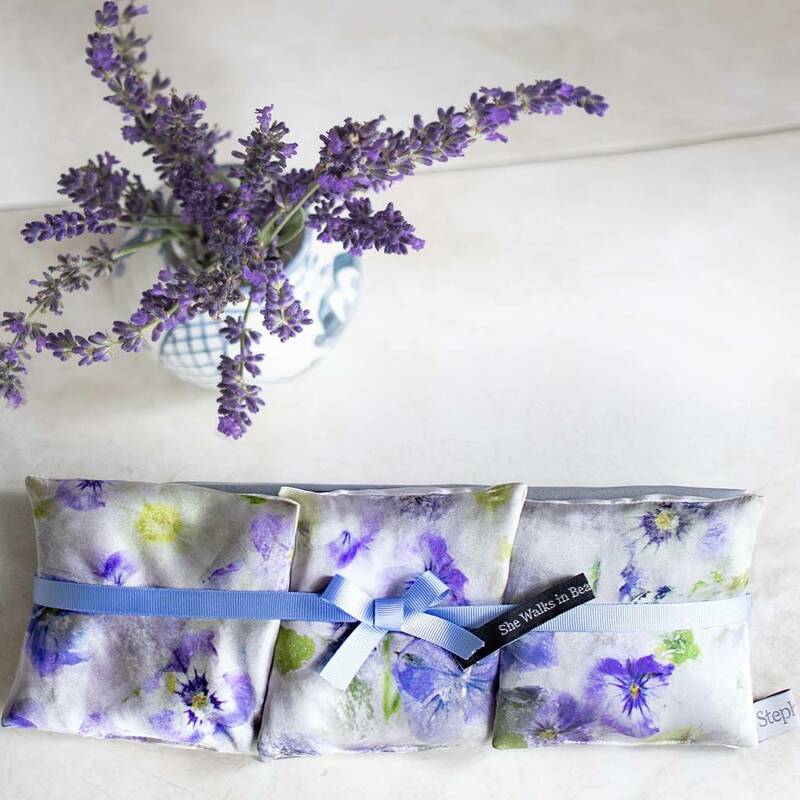 The set of three lavender bags are filled with British Lavender. 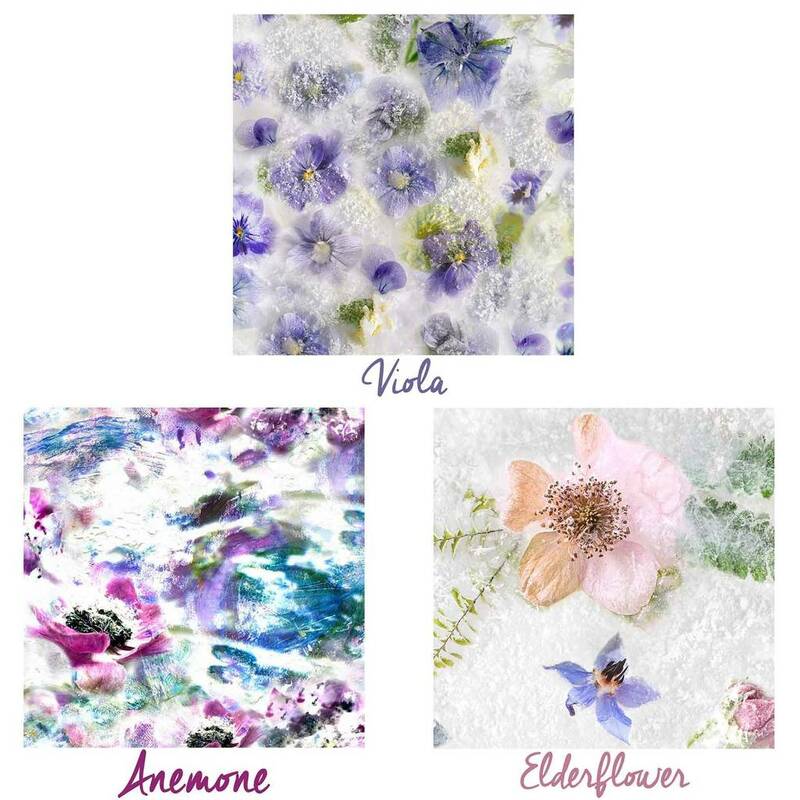 All StephieAnn prints feature my creative paintings and photography printed onto silk! 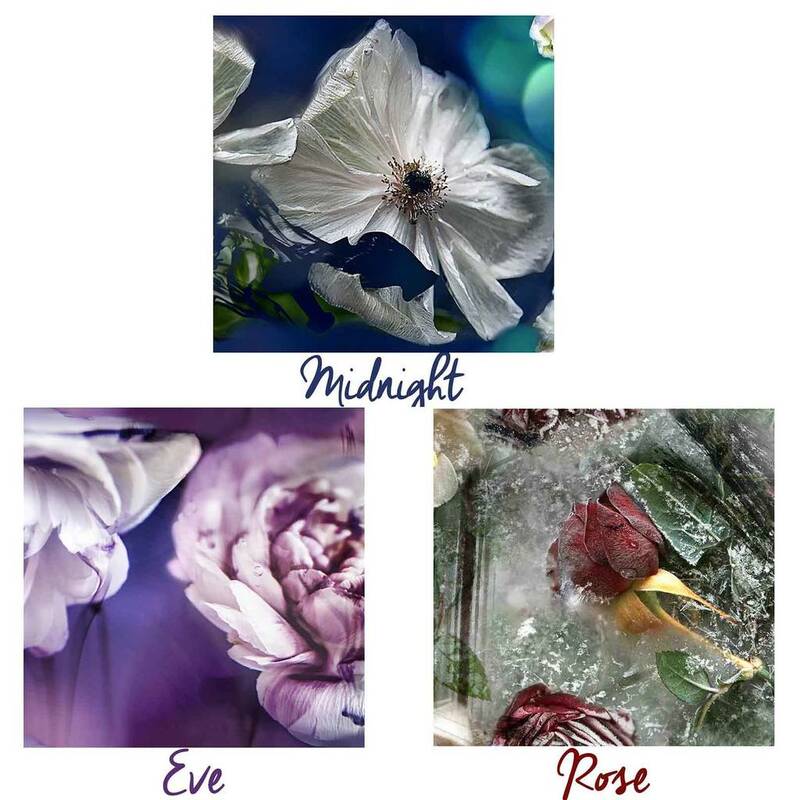 Choose from six wonderful designs, Viola, Anemone, Elderflower, Midnight, Eve or Rose, each featuring my original artwork. Each set is made to order ensuring the lavender is at it's freshest by either me or Mum, Niki in our West Sussex studio. The bags are wrapped beautifully with ribbon and tissue. 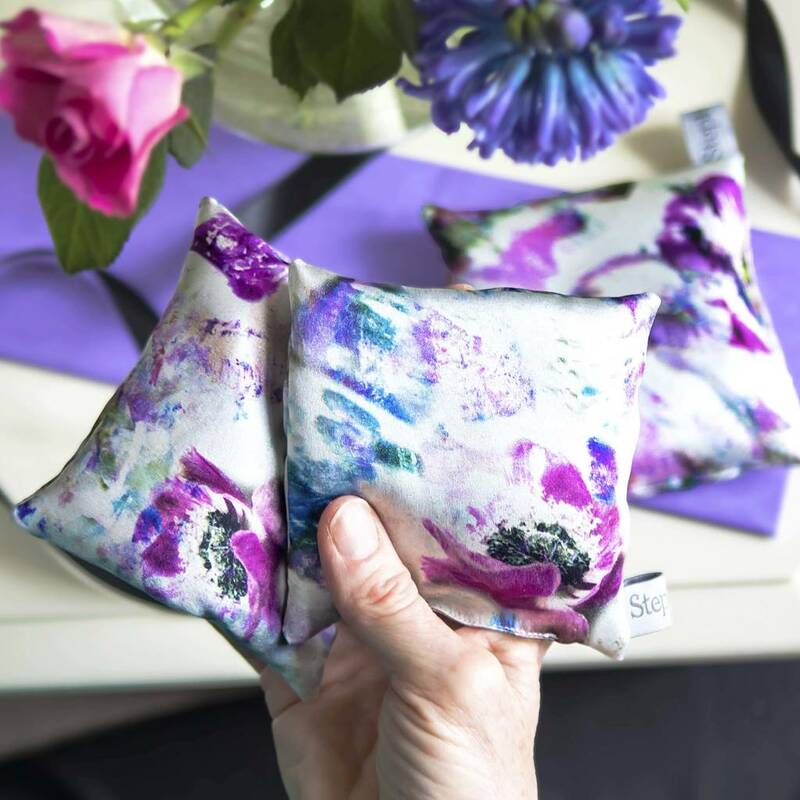 Storing Your Lavender Bags - If giving lavender bags as a gift, keep scent fresh by storing in a cool, dry, dark place, either wrapped in the tissue provided or an airlock bag. If left sitting too long, the lavender may appear musky at first. Give the bags a good shake and this will instantly freshen up the scent. After some time refresh any fading fragrance by adding lavender oil to the bags. 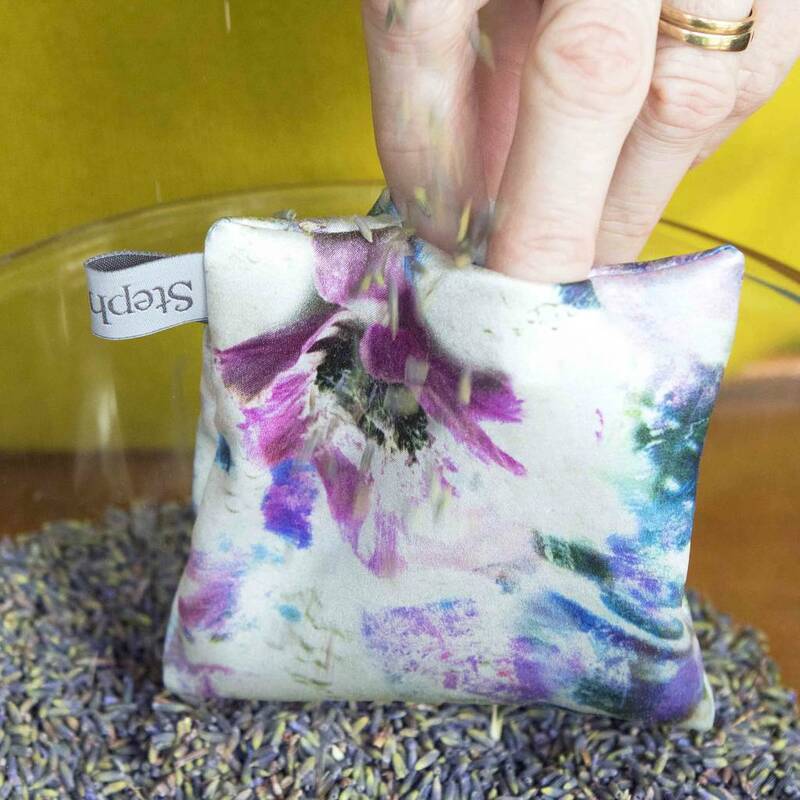 Lavender bags can last up to 5 years. This product is dispatched to you by StephieAnn.